MIT’s School of Architecture and Planning (SA+P) is currently scattered all over the school’s Cambridge, Massachusetts, campus, but not for much longer. 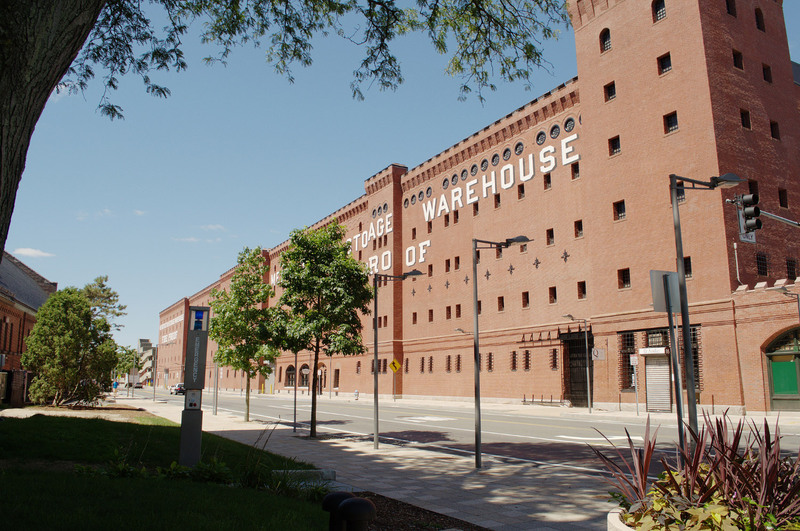 The university announced on December 14 that it had tapped New York’s Diller Scofidio + Renfro (DS+R) to convert the historic Metropolitan Storage Warehouse into a central design hub. The idea of renovating the Metropolitan Warehouse, which was added to the National Registry of Historic Places in 1986, has been kicking around since June of this year. At the time, SA+P dean Hashim Sarkis expressed the desire to consolidate the physical design and research components of the school into one location. The proposed changes would preserve the warehouse’s distinctive red brick facade (likely because of its historical significance). DS+R will be partnering with Boston’s Leers Weinzapfel Associates, no strangers to academic work, to bring 200,000 square feet of classrooms, galleries, workshops, studio spaces, and an auditorium to the former warehouse. A makerspace, accessible to the entire campus, will also be installed under the administration of Project Manus, a group responsible for integrating and updating such spaces at the school. The selection of DS+R began with a long list of potential architects that was put forth by MIT’s Office of Campus Planning (OCP). Representatives from every department of SA+P, Project Manus, and OCP then whittled the list down to four finalists. The remaining studios were invited to give private presentations in October, and feedback on each was taken from SA+P students and faculty, as well as representatives from the city. No estimated completion date for the project has been given yet, nor has a budget estimate, though MIT says that the school is in productive talks with alumni about fundraising to pay for it.